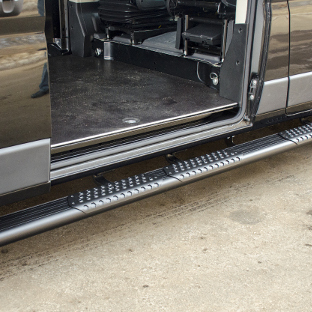 O-Mega II™ side steps by LUVERNE are modernized running boards for today's cargo vans. 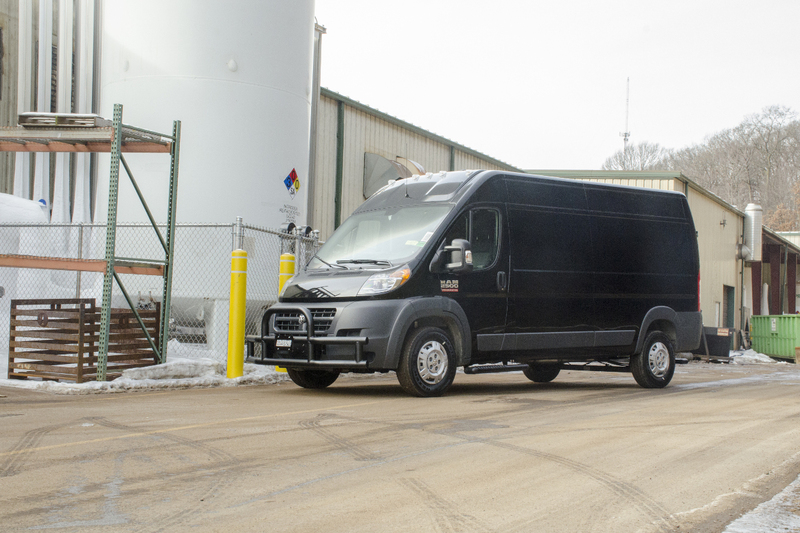 Whether you're making deliveries or commuting to the next job location, O-Mega II™ steps offer dependable traction, a highly weather-resistant construction and a modern look for your business. 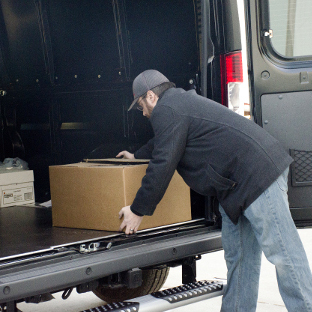 O-Mega II™ side steps are available in several unique configurations to specifically accommodate cargo vans. Each set is designed for vehicle-specific application, and all are made right here in the USA for uncompromising quality. 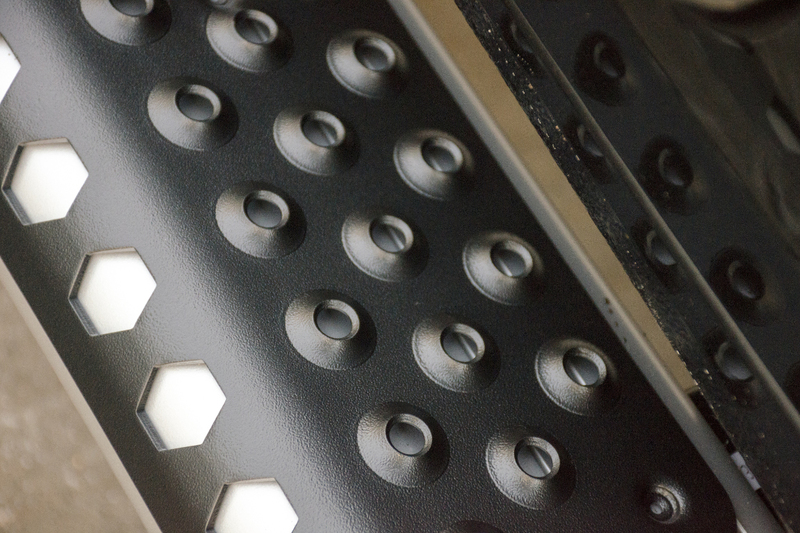 Give your business a fresh, modern, professional look with O-Mega II™ side steps. 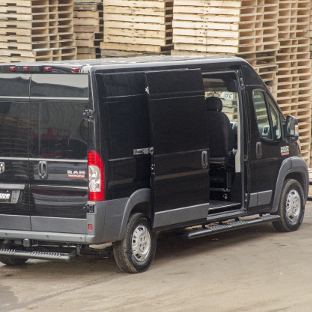 Whether you're a one-man operation or you own an entire fleet of commercial vans, these running boards are engineered to provide a stylish accent with all the functionality to back it up. 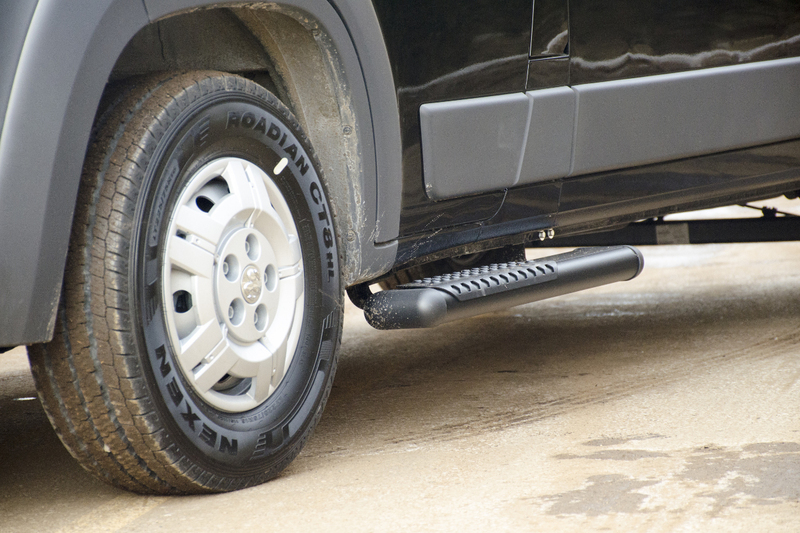 O-Mega II™ van side steps are 6" x 2-3/4" tubular running boards. They are configured with an oval appearance but have a sleek, lightweight, open-bottom design. 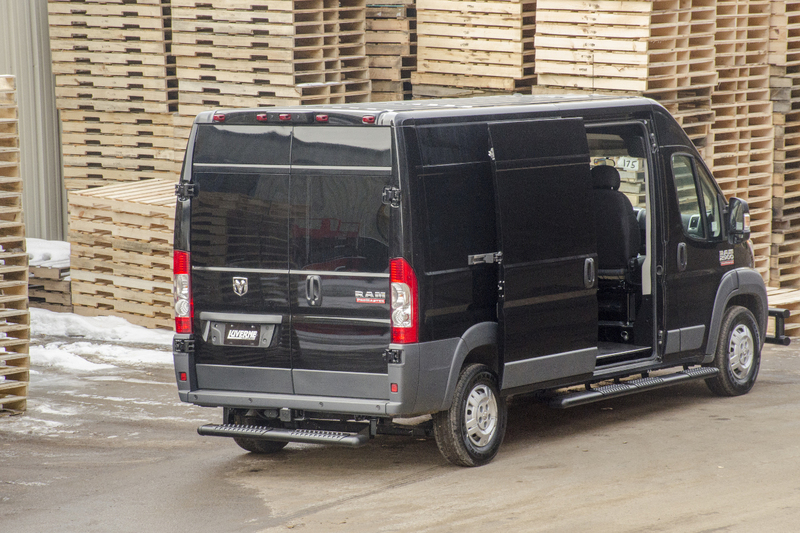 The 6" width offers a comfortable step in and out of the van, while complementing the vehicle with a bold look. 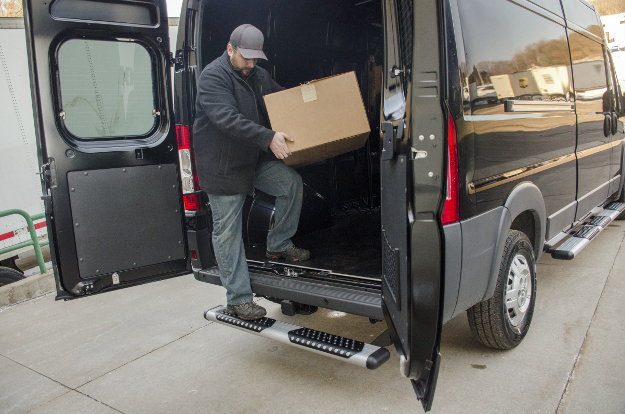 O-Mega II™ 6" side steps are particularly well-suited for cargo vans in the commercial sector because of their powder-coated aluminum construction. 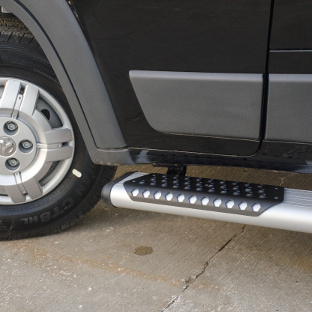 The extruded aluminum build offers a rigid, reliable step without adding excessive weight to the vehicle. This helps promote strong fuel-efficiency. 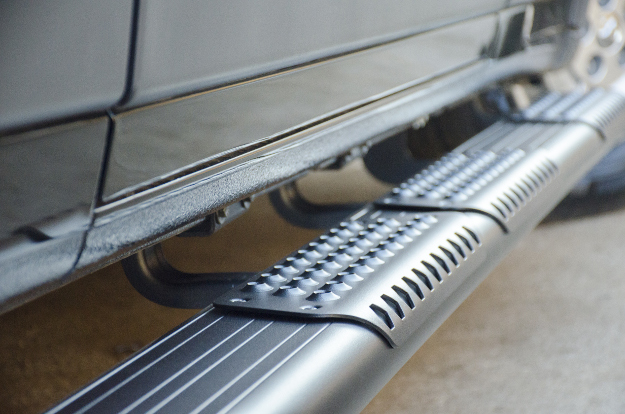 These aluminum running boards are also highly resistant to corrosion, especially with the addition of their powder coat finish. They offer a professional, long-lasting appearance and dependability in spite of frequent exposure to the elements. 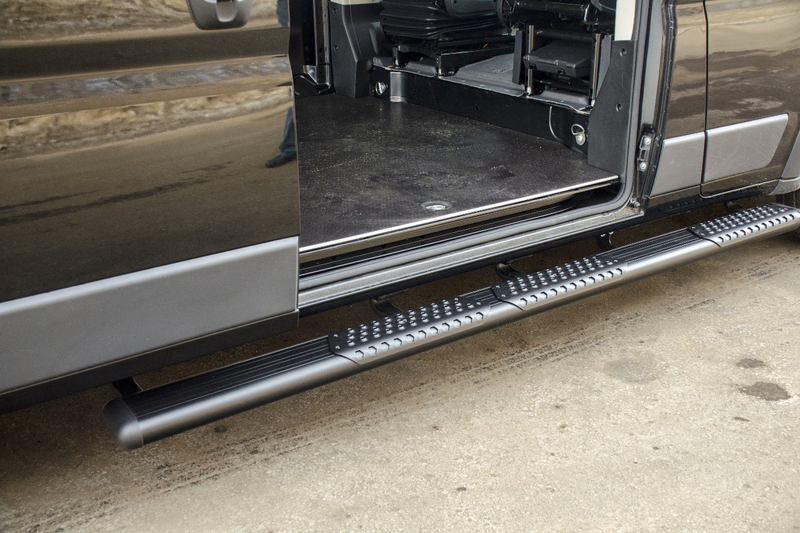 O-Mega II™ van side steps offer a unique advantage for work vans with their adjustable, all-aluminum step pads. 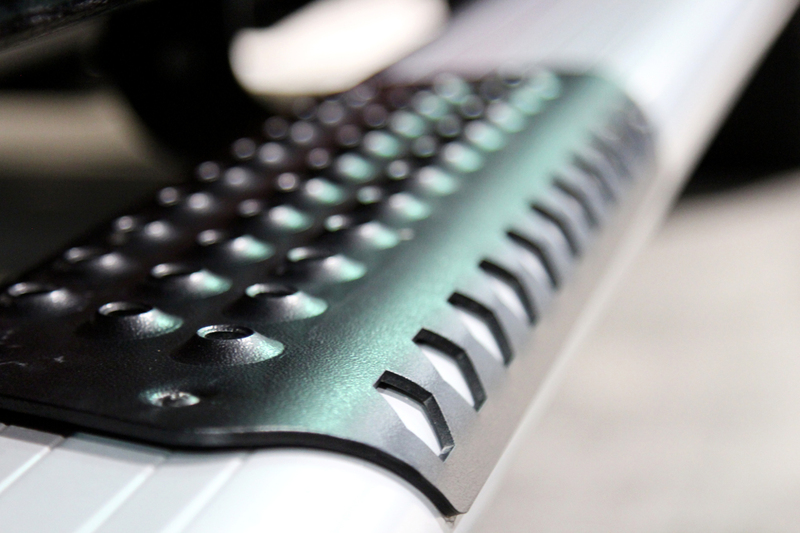 The step pads of these running boards are left unattached when they leave our factory. They come with self-tapping screws that allow you to position the step pads according to recommended specifications or to custom-position them exactly where you need them. 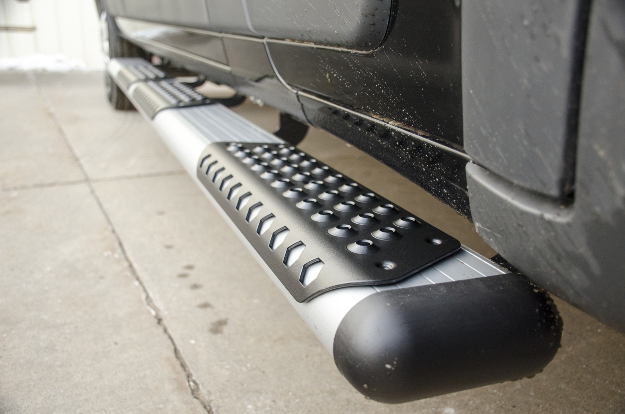 The side steps are made from powder-coated aluminum for long-lasting resilience to wear and corrosion. They also provide excellent traction with their protruded, circular treads. 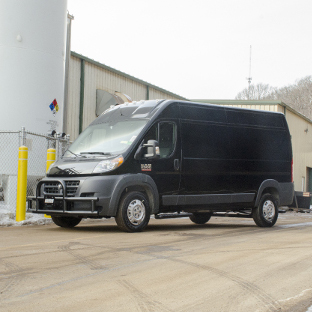 O-Mega II™ side steps are not only well-suited for commercial jobs, but we also offer configurations that are uniquely tailored for cargo vans. Depending on the layout of your vehicle, you can select a number of different options to maximize functionality and safety. 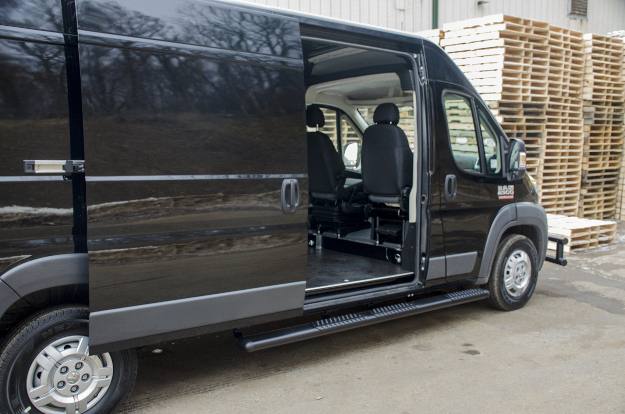 We offer side step kits with a short step for the driver-side door, a long step for the sliding passenger-side door, an extra-long step for both doors, and several combinations of all three. We also offer O-Mega II™ rear steps. Select your vehicle to view your available options. 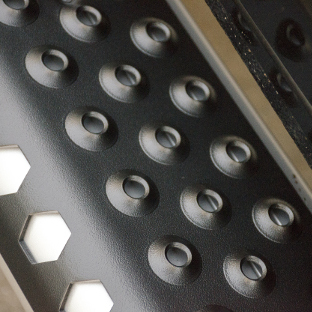 A good first impression can make all the difference in business and as such, O-Mega II™ side steps are available in two powder coat finish options. We offer a silver powder coat and a textured black powder coat. 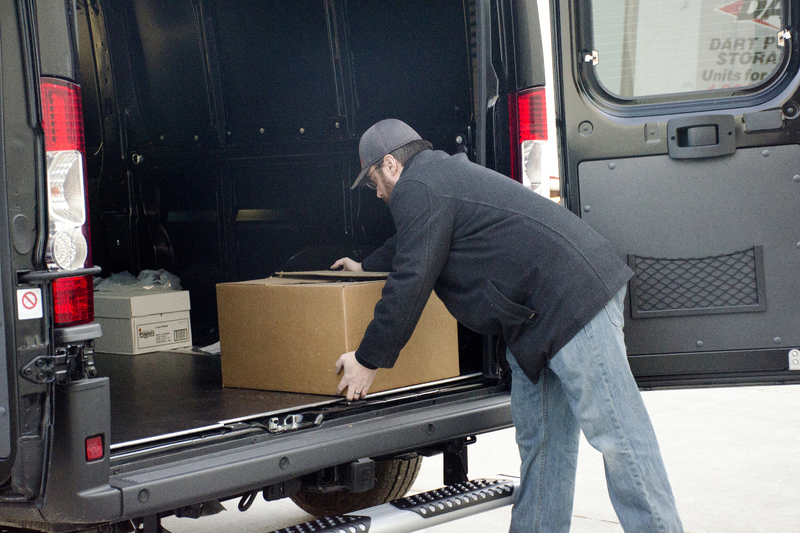 You can select whichever color best matches your cargo van for a professional look. 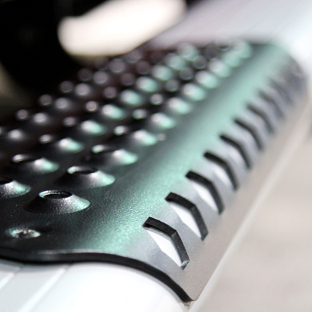 O-Mega II™ side steps also come with tough black TPO end caps for a bold accent on the running boards and extra scratch and scuff protection. 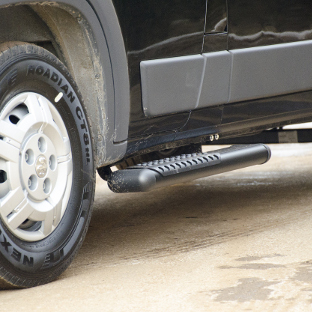 Like all LUVERNE running boards, O-Mega II™ side steps are engineered for a vehicle-specific fit. This ensures the most secure mount, easiest possible installation and best integration with the vehicle. 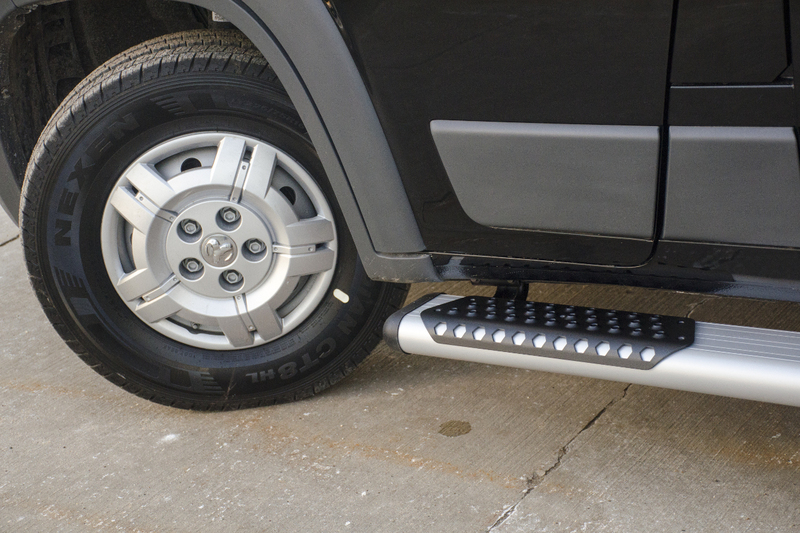 O-Mega II™ 6" oval side steps for cargo vans mount with vehicle-specific brackets to eliminate drilling and modifications as much as possible. The brackets are made from carbon steel for enhanced strength, and they have a powder coat finish for long-lasting corrosion resistance.